On this episode of The GAP Luke Lawrie and Joab Gilroy chat about Hamburg, missing luggage, and a new segment called Joaby’s gaming minute. 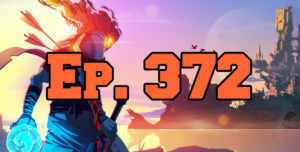 They also talk about the games they’ve been playing which includes Dead Cells, Friday The 13th: The Game, Final Fantasy XIV, PlayerUnknown’s Battlegrounds, Hill Climb Racing 2, and more. Over in the news we get our first look at Far Cry 5, and Microsoft re-brands their live streaming service Beam as Mixer. This episode goes for 1 hour and 50 minutes, it also contains coarse language.